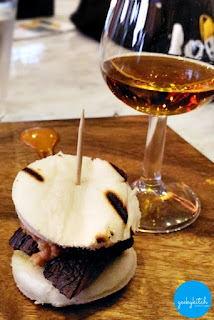 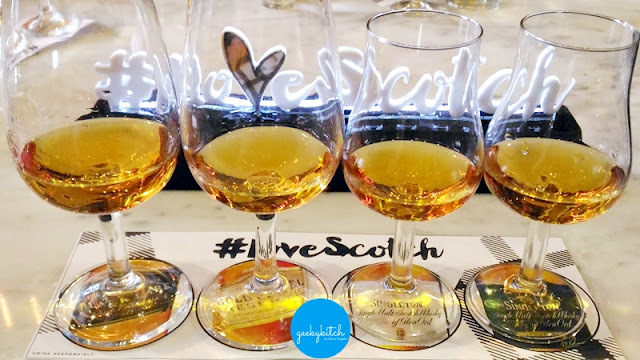 GeekyKitch got more acquainted with the world's favorite whisky - the Scotch. 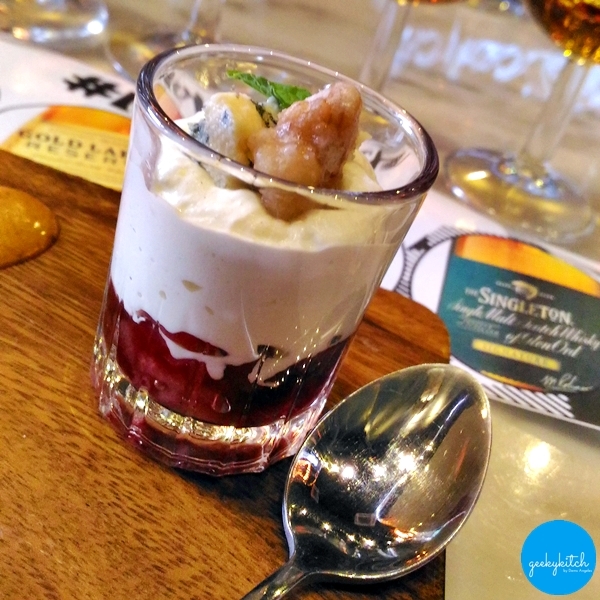 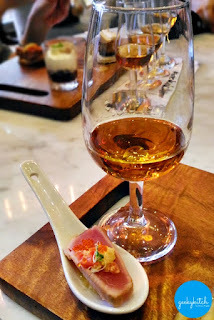 Recently, we attended a master class on food and Scotch whisky pairing where we got educated on the history, development and importance of Scotch. 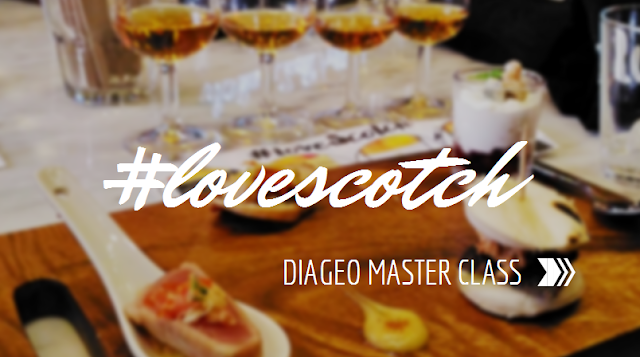 It was conducted by Diageo's Master of Whisky, Ewan Gunn, who has been in the industry for over 17 years. He travels all over the world just to teach people on how to best appreciate whisky. 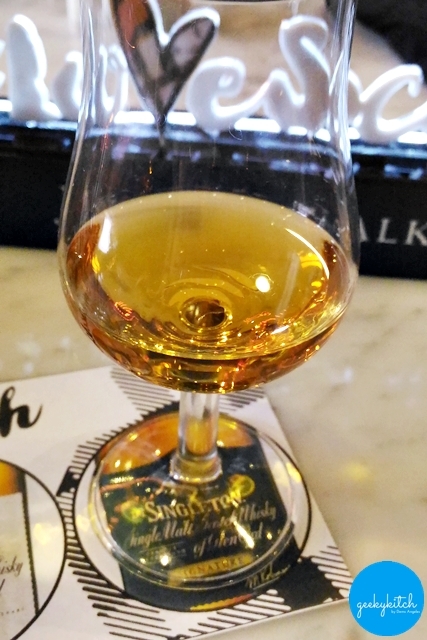 There is no right or wrong way to drink Scotch - whether neat, on the rocks or in a cocktail. As long as you enjoy it, that's what matters. 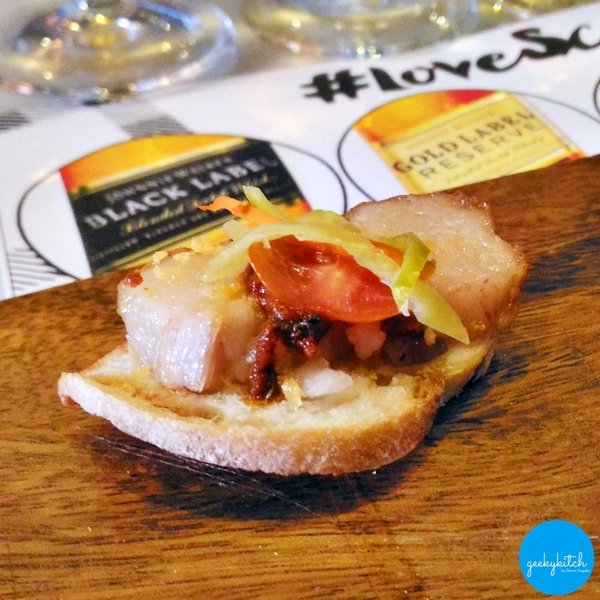 We were treated to dishes prepared by Head Chef Borja Duran of Desiderata Lounge afterwards. also known as the "Iconic Blend"
described as "rich, complex and incredibly well-balanced, full of dark fruits, sweet vanilla and signature smokiness"
also known as the "Celebration Blend"
taking a sip, it "opens with a luxurious burst of delicate nectar and gentle smokiness that develops into sweet fruits and deeper, velvety, honeyed tones before giving away to sublime, lingering whispers of smoke and oakiness in the finish"
This event was part of the #LoveScotch celebration in the Philippines - a global movement that celebrates the world's love affair with Scotch and ignites a passion amongst a new generation of whisky drinkers. 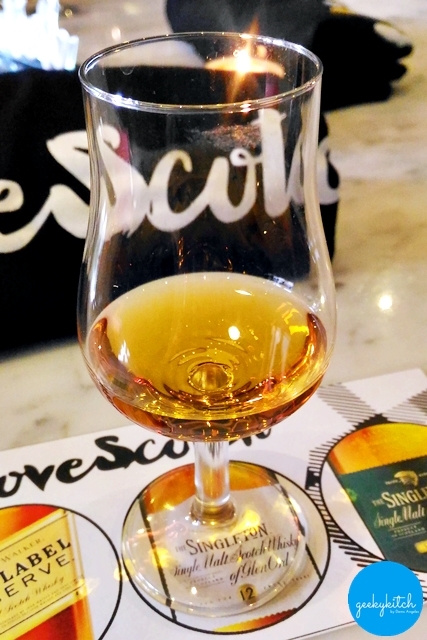 People posted a #LoveScotch selfie with their drink last May 21, 2016 in celebration of World Whisky Day, which is held on the third Saturday of May.